NEW YORK (April 12, 2017)—Five attorneys from The Law Offices of Spar & Bernstein, P.C. have been selected to the 2017 New York Super Lawyers list. Brad Bernstein has been selected to the 2017 New York Super Lawyers list, and Meghan Buckwalter, Nicole Abruzzo Hemrick, Moonjung Jenny Kim, and Adam Rossol have been selected to the 2017 New York Rising Stars list. Each year, no more than five percent of lawyers in the state are selected by the research team at Super Lawyers for the Super Lawyers list, and only 2.5 percent of the lawyers in the state are selected as Rising Stars. The Law Offices of Spar & Bernstein is a full-service law firm with more than half a century of experience. Spar Bernstein’s legal team is comprised of more than 50 knowledgeable, accomplished attorneys and support staff. Spar Bernstein has legal teams who focus on immigration law, construction accident law, matrimonial and family law, criminal defense, and tax law for individuals and corporate clients. For more information, call (800) 529-5465 or visit www.lawsb.com. 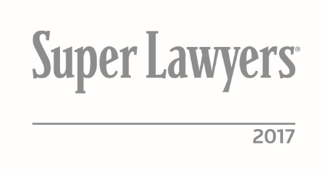 The Super Lawyers lists are published nationwide in Super Lawyers magazine and in leading city and regional magazines and newspapers across the country. For more information about Super Lawyers, go to SuperLawyers.com. With more than 50 years of experience and a clientele that exceeds 50,000, The Law Offices of Spar & Bernstein, P.C. is a highly respected and authoritative law firm that concentrates in immigration issues. Located in New York City, Spar & Bernstein boasts a legal team that is experienced in representing a diverse clientele and navigating the many complex and often changing federal and state immigration laws. Spar & Bernstein also has legal teams who focus on construction accident law, matrimonial and family law, criminal defense, and tax law for individuals and corporate clients. The Law Offices of Spar & Bernstein, P.C. can be reached by telephone at 800-529-5465 or 212-277-3636 and at www.lawsb.com.